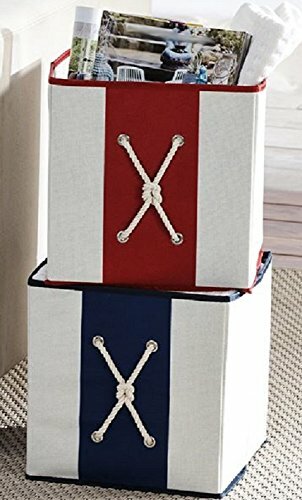 Sturdy canvas type collapsible storage box with nautical rope detail. Set of 2 includes one with red trim and one with navy trim. Fabric has burlap weave detail.